The i60 Close-Hauled Wind instrument display is an add-on performance sailing repeater with an expanded view of wind angle between -60° and +60° about the bow or stern of the boat. 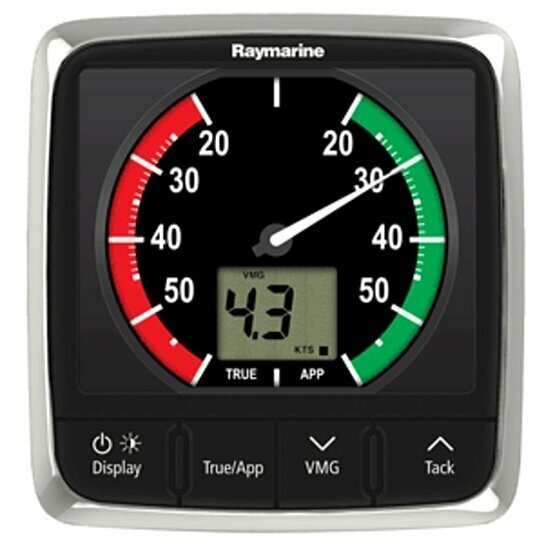 The i60 Close Hauled Wind Instrument displays close-hauled wind direction, wind speed, maximum wind speed, velocity made good (VMG) and tack. Used in compbination with i70 or i60 Wind instrument. The i60 Close Hauled Wind is a repeater device that requires a primary wind instrument or smart wind transducer in the system.